From our Bespoke Collection - where you can choose the finish colour - is this truly superb Partners Desk. 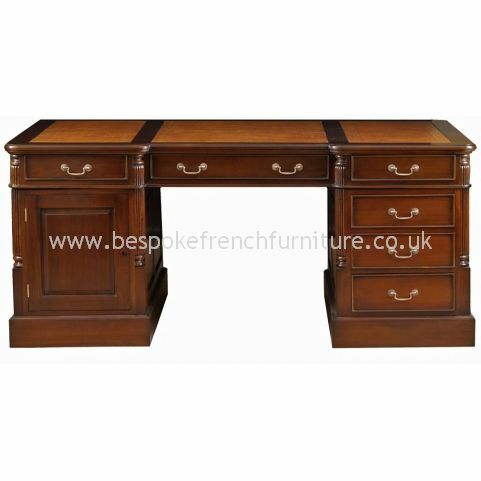 Supplied in three pieces (two bases and the top) it is easily assembled to form a very solid and impressive desk. 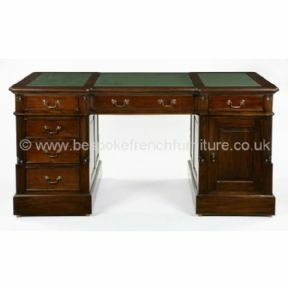 As this is a Partner's Desk it is designed to be used on both sides and so has a total of 12 drawers and two cupboards - 6 drawers and one cupboard on each side - providing ample storage space. 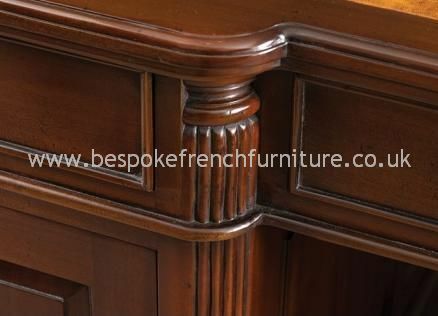 It is hand carved from solid mahogany and is entirely finished (painted or polished) in the UK resulting in a truly exceptional piece. Supplied with a set of three leather skivers that are available in dark green, burgandy red, tan, gold, navy blue or black. Available with knobs or handles on the drawers/cupboards and also available in 3 different sizes. 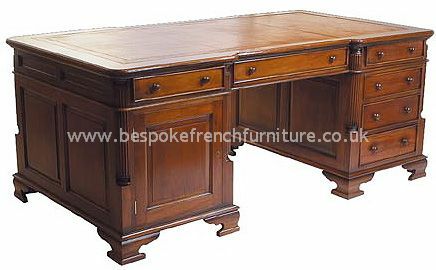 The desk shown here with a Polished Mahogany finish is an example of a previous order. Should your order require more work then the price will need to be adjusted accordingly. Please contact us for a quote. Colour/Finish: As shown or your choice of colour and finish. 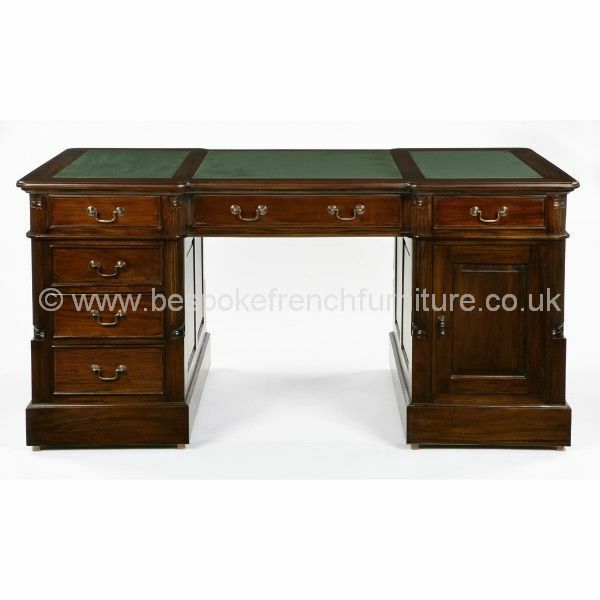 There is the option to choose from different coloured leather skivers and have knobs or handles on the drawers.